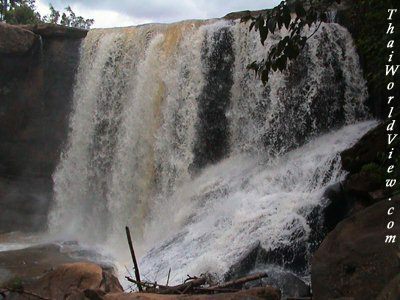 During rainy season, waterfalls are a nice place to enjoy. Bathing in cold water is refreshing in order to escape the oppressing heat. 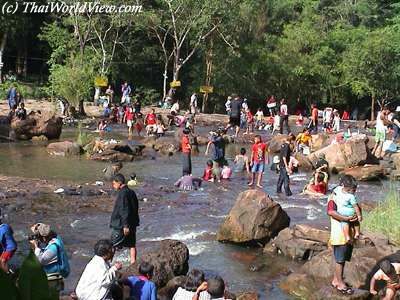 During week days, waterfall are quiet places but during week-end, they are overcrowded by visitors. Thai people always like to come together in order to have fun. 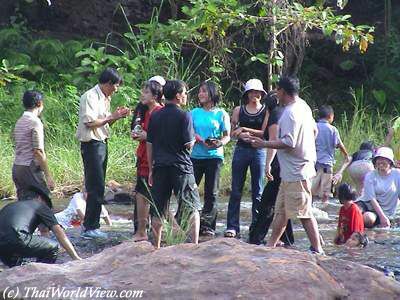 Family bring food, drinks and chat together while kids enjoy splashing in cold water. Thai young people bring food, alcoholic drinks, guitar to have fun together. Ambulant vendors sell food for visitors, who are splashing in the river. Even some professional photographs can take pictures on demand. One sad issue is that Thai dwellers don't care about rubbish. Once the few garbage cans are full, everybody let the remains on the soil. 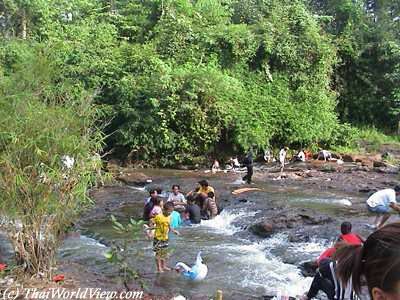 At the end of day, the waterfall area become dirty with plastic bags, food, bottles remaining. Environment protection is a huge problem in Thailand. People behavior modification must come through children. The worst is about drunk people who leave empty bottles in the water stream. Then bottles get broken on rocks. During rainy season and due to the water high level, visitors can get hurt and have feet injuries due to broken glass. 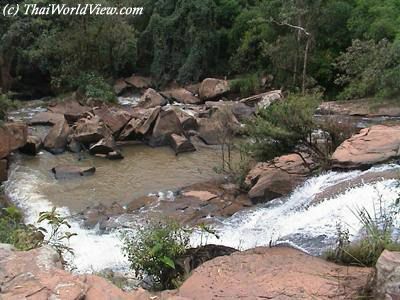 Thailand also contains many waterfalls that are seldom visited due to their remote access and their potential danger. Kids cannot play safely. 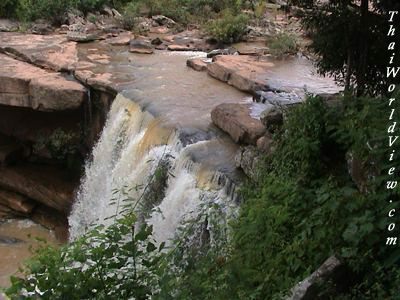 Many remote waterfalls are located in jungles. Often visitors walk a long time to reach them through hot and humid forests. Anyway the result is often worth. Water is always fresh and clean due to the stream. The most fancy place is of course to be under or in the waterfall stream.